Originally published in 1986, the emphasis in this book is on dreaming rather than sleeping. This reflected the recent emergence of interest in dreaming among professionals, in the general public, and across disciplines at the time. Each chapter offers a review of its area with pertinent references. Selected references are annotated. The annotated references represent the cutting edge of the area under review or are classical, historically important pieces or studies that represent a key turning point. Therefore, the number of annotations varies from chapter to chapter. This book gives the reader a basic grounding in what we know about the sleep state and then details sleep mentation or dreaming. 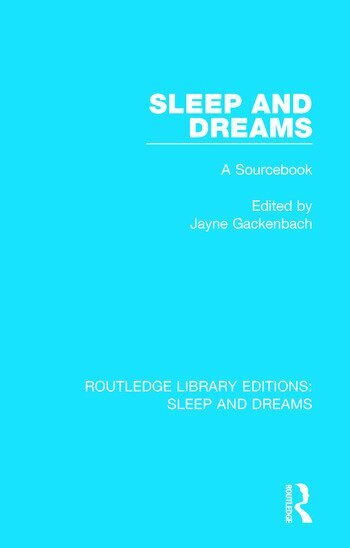 Although this book is not totally comprehensive, it will give the reader a good look at the basic sleep phenomena and a more detailed look at contemporary work on dreaming.